Log in to your Business or Premier account and Click the Profile Sub tab. 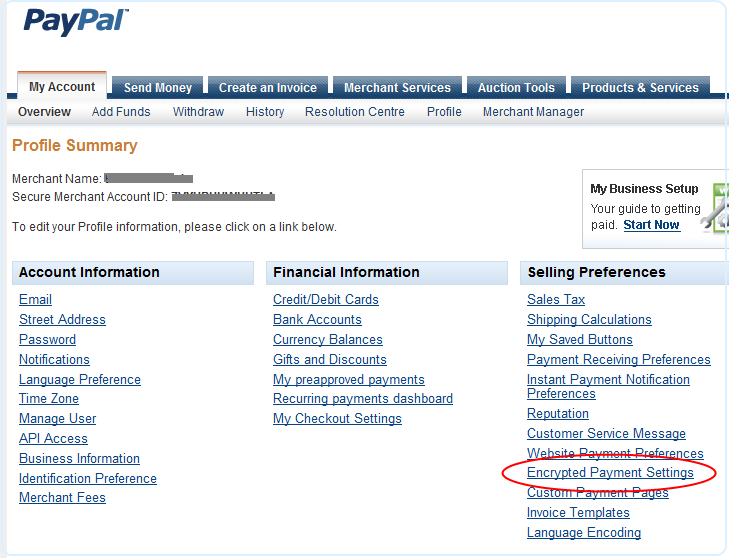 In the Seller Preferences column, click the Encrypted Payment Settings link. 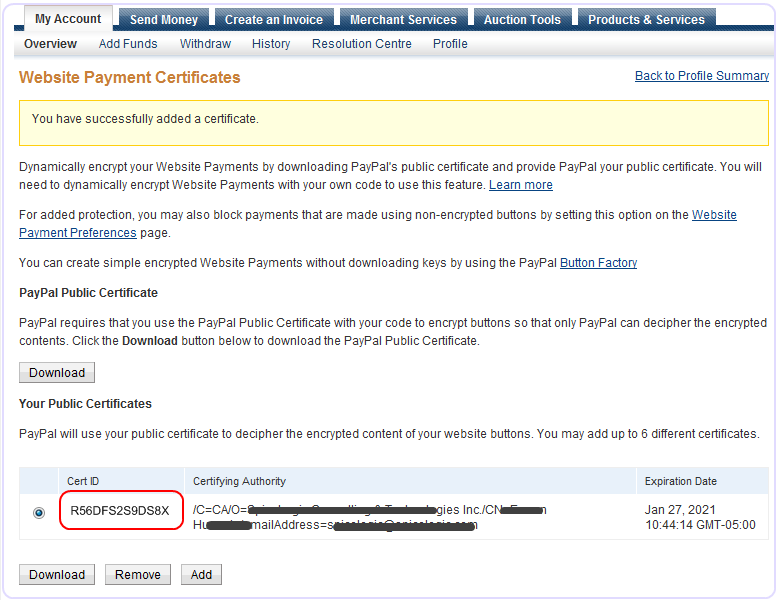 In the Encrypted Payment Setting page, scroll down the page to your Public Certificates, and click the Add button. Once you clicked the Add button, a file browse box will be shown, click the browse button to locate the public certificate file you generated and stored in the App_Data folder of your Web site. Finally, click the Add button. 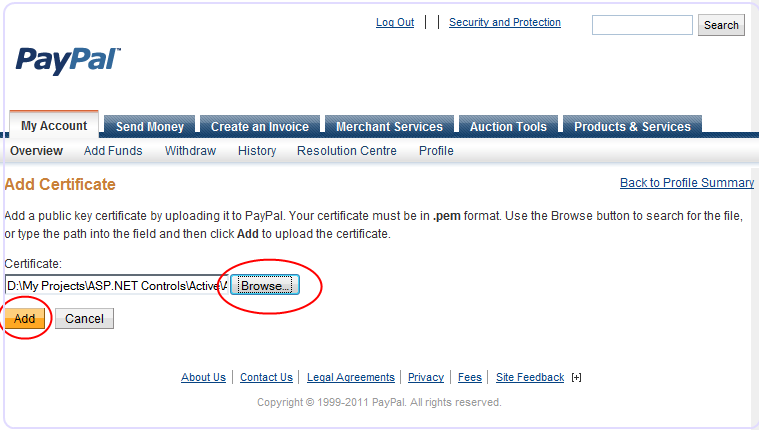 Once you click the Add button, your certificate ID will be generated as shown in the following screen shot. 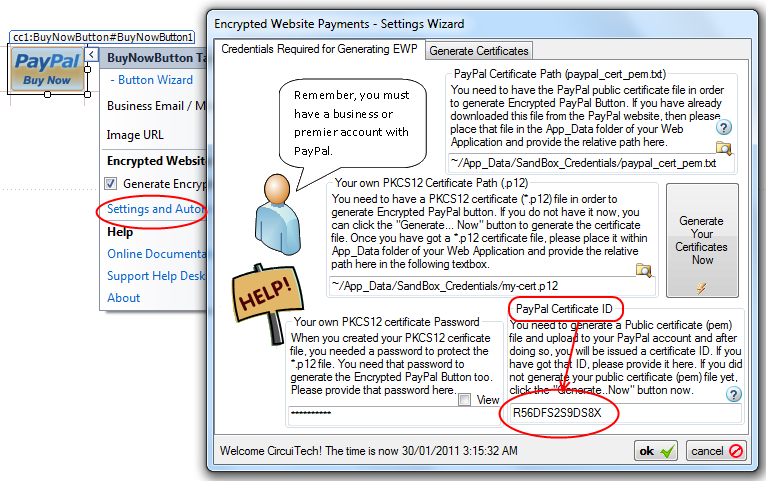 Go Back to generating Encrypted Payment Button page.